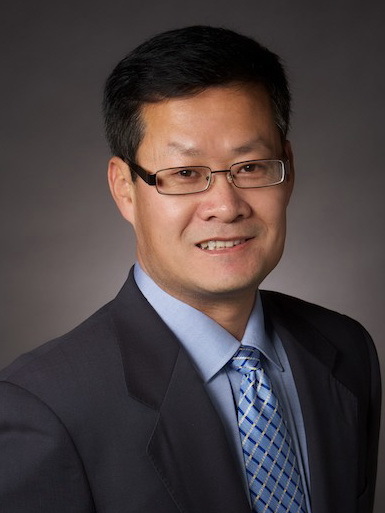 Dr. Hongwei Qu is currently a professor at the ECE Department of Oakland University. He joined the faculty of OU in August 2006 after he had obtained his Ph.D. degree in Electrical Engineering from the University of Florida. His research is centered on micro electro-mechanical systems (MEMS) devices and technology. He has contributed particularly in CMOS-MEMS technolgy by which microelectronics enabled by mainstream CMOS technologies can be highly integrated with MEMS devices. His expertise and previous research experience also involve semiconductor devices, optical MEMS and solid state thin films and devices. Dr. Qu is also in charge of the Advanced Microanalysis Lab at the School of Engineering and Computer Science. The lab features sets of scanning electron microscope (SEM) and transmission electron microscope (TEM) for morphological, compositional and atomic studies and analyses of a variety of materials. Sample preparation tools necessary to the microanalyses are also available. Introduction of some of the instruments can be found here. For use of these powerful tools for micro- and nanoanalyis of materials and devices, please contact Dr. Hongwei Qu.